The City of West Hollywood is trying to get the word out about temporary service changes for the CityLine free transportation service, because of Academy Awards-related street closures at Hollywood and Highland in Hollywood. Cityline will relocate its Hollywood and Highland stop to the front of the Hollywood Roosevelt hotel on Orange Drive, just south of Hollywood Boulevard from Feb. 19 through Tuesday, Feb. 26. 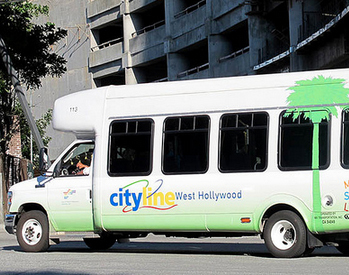 In addition, the Cityline West Hollywood Library stop will be out of service after 6 p.m. on Tuesday, Feb. 26 only. Riders can board Cityline at the next closest stop located at the southeast corner of Santa Monica and San Vicente Boulevards to reach intended destinations. More information, including a Cityline route map, can be found online or by calling (800) 447-2189.